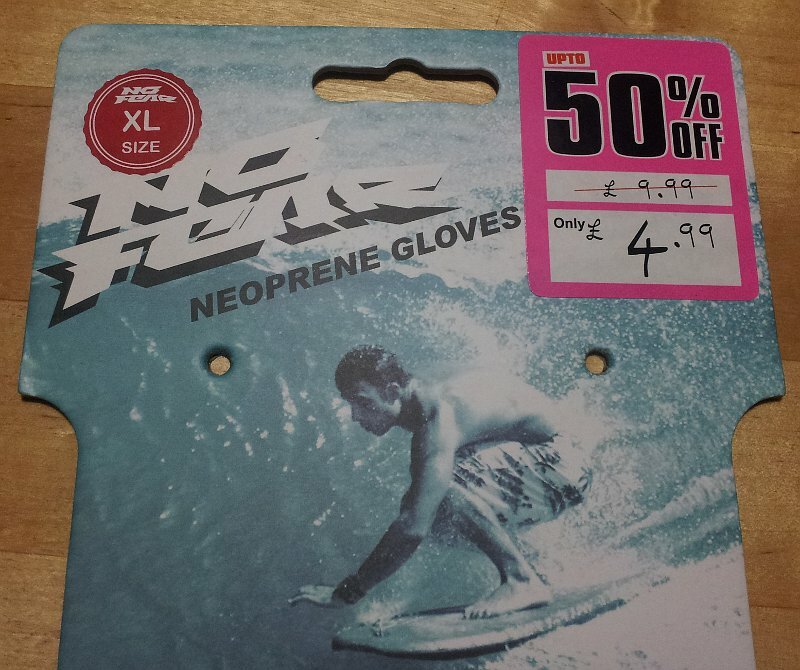 I went yesterday to hunt for some thermal base layer and spotted half price neoprene gloves. 5 pounds doesn’t sound terrible so took them. The idea is try them on the bike despite original purpose. In my case I can use them anyway for windsurfing, even if they won’t be suitable for cycling (autumn looks quite windy this year). 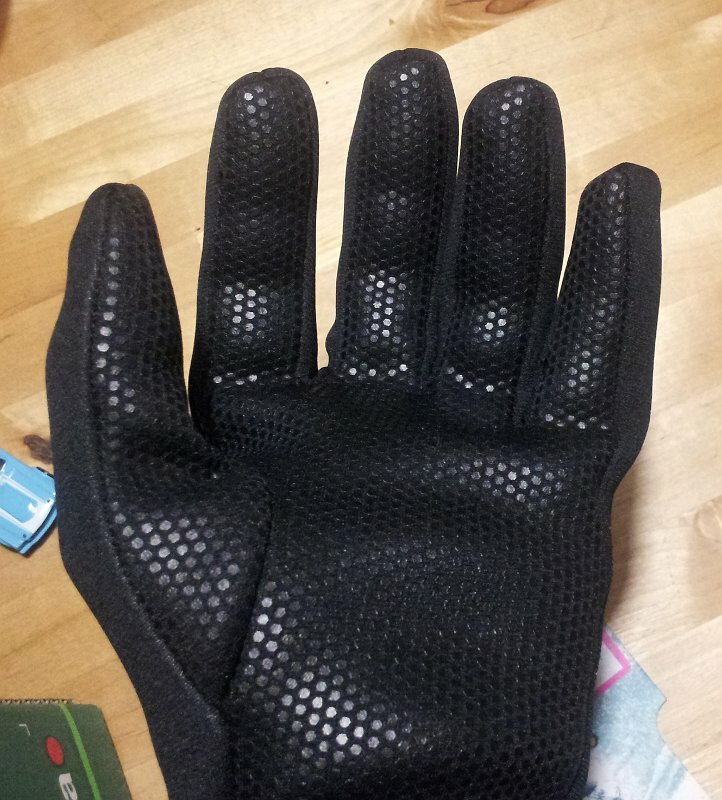 After close inspection and reading some reviews on Internet it looks like there’s no difference between cycling neoprene gloves and surfing gloves. The biggest difference is price as you can see below :-). I’ve picked up for comparison the dearest available on the market, but even cheaper has same construction. Imagine spending 60 quid and then realize that is not what you’ve been looking for… Neoprene looks like good material for British weather. 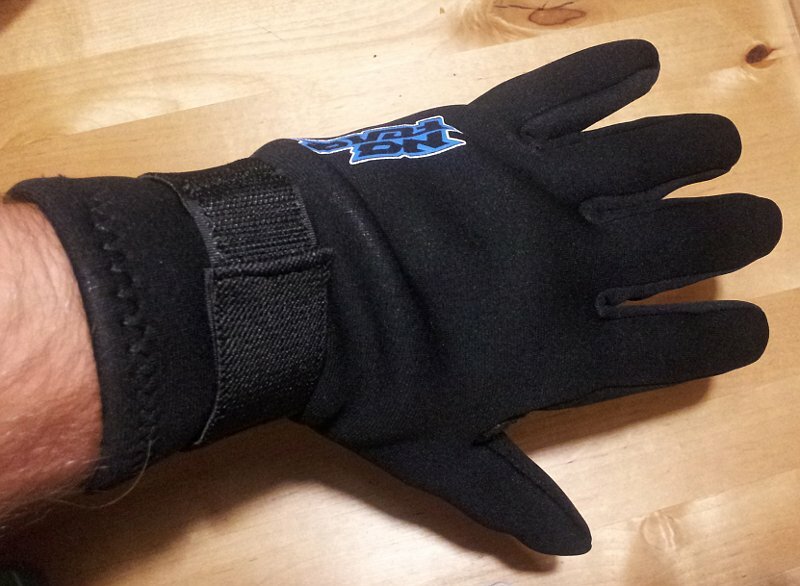 Anyway what people are saying in reviews is despite warm hands you’ll have them wet anyway because of sweat. I’ll ping a message once they’ll be used on the road.